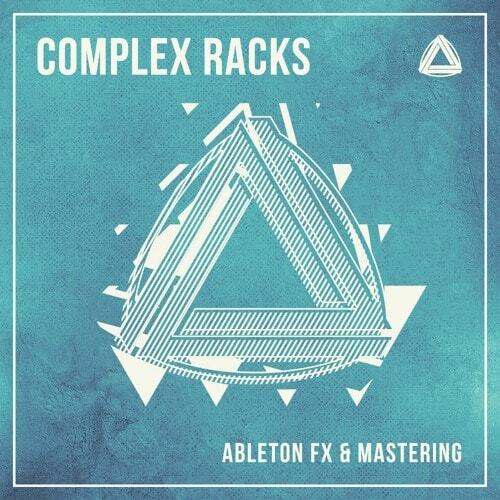 ‘Complex Racks: Ableton FX & Mastering Racks’ has been designed to provide useful tools and inspiration for use in Ableton Live 9. Complex chains and processes using Liveâs in-built units have been meticulously crafted and then utilised the eight macros within the racks to create simple hands on control. Get access to essential tools for creation and mixing in a simplified way. The mastering racks have been designed to help at the final stage of creating and mixing a track. The DnB mastering rack is aimed at a heavily processed, upfront sound whilst the House mastering rack is aimed at pumping 4×4 beats with controlled low end and thumping kicks. However, both racks provide the essential tools needed to add the final polish to any electronic music genre. By using the eight macros to hide the back end design, the creators of this product haven’t just created ‘one for all’ mastering presets but instead simplified many complex controlled processes such as sculpted EQ, parallel compression, limiting and more, into a user interface that you can quickly adjust on the fly to create your final master. The advice is to experiment, turn knobs and see what happens (or for more advanced users, you can dive into the FX chains and dial in your ideal settings). The FX and processing racks provide fun and useful tools to add to your music creation toolbox. Improve your overall drum mix or sculpt individual components. Add a professional sheen to your vocals or try pushing into experimental territory for unexpected results. Tighten your bass sound or crush and saturate the low end until it thunders. Go wild with the vinyliser and introduce some analogue style grit, dirt or warmth. The FX processing rack features reverb, frequency delay, pitch control, resynthesis signal processing, a mod filter and an auto chopper. Throw it over any audio or MIDI track for instant FX that can provide inspiration and quick access to essential processing. Please Note: Ableton Live 9 is required to use these racks.